We are excited to offer this 2014 Kia Sorento. This 2014 Kia Sorento comes with a CARFAX Buyback Guarantee, which means you can buy with certainty. Want more room? Want more style? This Kia Sorento is the vehicle for you. Based on the superb condition of this vehicle, along with the options and color, this Kia Sorento LX is sure to sell fast. More information about the 2014 Kia Sorento: The Kia Sorento is a midsized crossover vehicle. It starts at about $24,000 but is available with a ton of optional features that run from interesting to downright luxurious. Third row seating is available for owners with large families and the Sorento generally does an admirable job of moving people and their stuff around in a quiet and comfortable environment. This model sets itself apart with Sleek styling, good ground clearance, available all-wheel drive, spacious interior, plenty of available luxury features, and available third row seating We look forward to seeing you soon! Please call us for more information. We are excited to offer this 2016 Kia Forte 5-Door. This Kia includes: CARGO TRAY (PIO) CARPETED FLOOR MATS (PIO) Floor Mats *Note - For third party subscriptions or services, please contact the dealer for more information. * Start enjoying more time in your new ride and less time at the gas station with this 2016 Kia Forte 5-Door. More information about the 2016 Kia Forte 5-Door: The Forte is a compact that's one size down from the Kia Optima and one up from the Kia Rio. It competes in a crowded segment, against some very established nameplates like the Toyota Corolla, Honda Accord, Nissan Sentra, Hyundai Elantra, Volkswagen Jetta and Ford Focus, as well as the Chevrolet Cruze and Dodge Dart. The Kia Forte stands out for offering a little more equipment for the same price -- as well as some standout comfort options, such as a heated steering wheel and cooled driver's seat. There's also a choice between three engines, a fuel-efficient 1.8L, a stronger 2.0L or, in the 2-door Koup, a 1.6L turbocharged unit. Every buyer should be able to find the right combination of power and fuel economy. Strengths of this model include Stylish exterior, fuel-efficiency, great list of standard equipment, choice of powertrains, and standout comfort and convenience options We look forward to seeing you soon! Please call us for more information. We are excited to offer this 2017 Kia Forte. This 2017 Kia Forte comes with a CARFAX Buyback Guarantee, which means you can buy with certainty. This wonderfully fuel-efficient vehicle offers a supple ride, quick acceleration and superior styling without sacrificing MPGs. Low, low mileage coupled with an exacting maintenance program make this vehicle a rare find. Look no further, you have found exactly what you've been looking for. We look forward to seeing you soon! Please call us for more information. We are excited to offer this 2016 Kia Optima. This Kia includes: CARPETED FLOOR MATS (PIO) REAR BUMPER APPLIQUE (PIO) *Note - For third party subscriptions or services, please contact the dealer for more information. * This vehicle is loaded with great features, plus it comes with the CARFAX BuyBack Guarantee. Outstanding fuel economy and sleek styling are two great reasons to consider this Kia Optima. This vehicle has extremely low mileage on the odometer, so while it's pre-owned, it's practically new. More information about the 2016 Kia Optima: The Kia Optima has always presented a strong value argument. A choice of three powerful and efficient powertrains compliment a feature-rich and stylish sedan. With prices starting at just under $22,000 for the base LX and ranging up to nearly $36,000 for the SXL Turbo, the Optima offers something at every price point. Interesting features of this model are hybrid availability, Strong value ratio, powerful engine lineup, extensive standard feature list, and stylish new design We look forward to seeing you soon! Please call us for more information. We are excited to offer this 2015 Kia Cadenza. Your buying risks are reduced thanks to a CARFAX BuyBack Guarantee. You can finally stop searching... You've found the one you've been looking for. There is no reason why you shouldn't buy this Kia Cadenza Premium. It is incomparable for the price and quality. More information about the 2015 Kia Cadenza: Kia is making a serious push to increase its profile in the U.S., and cars like the Cadenza provide a huge step in the right direction. The all-new luxury sedan provides a comfortable, sporty ride while housing its occupants in supple leather and high-quality soft-touch materials. Added to its powerful 3.3L V6 are standard technology features like voice-command navigation and a premium sound system, which make the $35,100 Cadenza a serious option in the segment, and against cars like the Toyota Avalon, Ford Taurus, and Buick LaCrosse, the Cadenza more than holds its own. Interesting features of this model are competitive pricing, attractive styling and ergonomics, build quality, and Standard features We look forward to seeing you soon! Please call us for more information. We are excited to offer this 2016 Kia Optima. This 2016 Kia Optima has great acceleration and wonderful styling without sacrificing exceptional fuel economy. Based on the superb condition of this vehicle, along with the options and color, this Kia Optima EX is sure to sell fast. A truly breathtaking example of pure vehicle design achievement...this is the vehicle of your dreams! More information about the 2016 Kia Optima: The Kia Optima has always presented a strong value argument. A choice of three powerful and efficient powertrains compliment a feature-rich and stylish sedan. With prices starting at just under $22,000 for the base LX and ranging up to nearly $36,000 for the SXL Turbo, the Optima offers something at every price point. Strengths of this model include hybrid availability, Strong value ratio, powerful engine lineup, extensive standard feature list, and stylish new design We look forward to seeing you soon! Please call us for more information. We are excited to offer this 2017 Kia Sorento. This Kia includes: CARPET FLOOR MATS Floor Mats CARGO NET (PIO) *Note - For third party subscriptions or services, please contact the dealer for more information. * CARFAX BuyBack Guarantee is reassurance that any major issues with this vehicle will show on CARFAX report. With this exceptional SUV, you'll get sport, utility, and comfort. More information about the 2017 Kia Sorento: The Kia Sorento competes in an extremely crowded segment against other mid-sized SUVs. Luckily for Kia, the Sorento stands out with bold styling and a bevy of options, making it an extremely versatile competitor. Kias are known for their great warranties and an affordable base price, and the Sorento doesn't disappoint. With a base price of about $25,000 and a 5-year bumper-to-bumper warranty, the 2017 Kia Sorento is extremely value-competitive. This model sets itself apart with available all-wheel drive, multiple engine options, versatile interior, high-end features, and Clean new styling We look forward to seeing you soon! Please call us for more information. We are excited to offer this 2016 Kia Optima. This Kia includes: WHEEL LOCKS (PIO) *Note - For third party subscriptions or services, please contact the dealer for more information. * How to protect your purchase? CARFAX BuyBack Guarantee got you covered. The 2016 Kia offers compelling fuel-efficiency along with great value. You will no longer feel the need to repeatedly fill up this Kia Optima EX's gas tank, in part because of it's superb EPA rating. More information about the 2016 Kia Optima: The Kia Optima has always presented a strong value argument. A choice of three powerful and efficient powertrains compliment a feature-rich and stylish sedan. With prices starting at just under $22,000 for the base LX and ranging up to nearly $36,000 for the SXL Turbo, the Optima offers something at every price point. Interesting features of this model are hybrid availability, Strong value ratio, powerful engine lineup, extensive standard feature list, and stylish new design We look forward to seeing you soon! Please call us for more information. We are excited to offer this 2015 Chevrolet Cruze. When you purchase a vehicle with the CARFAX Buyback Guarantee, you're getting what you paid for. Why spend more money than you have to? This Chevrolet Cruze will help you keep the extra money you'd normally spend on gas. This is about the time when you're saying it is too good to be true, and let us be the one's to tell you, it is absolutely true. More information about the 2015 Chevrolet Cruze: The 2015 Chevrolet Cruze is one of the most refined and sophisticated compact sedans on the market, offering a choice of powertrains, excellent ride comfort and top-tier safety features and amenities. The Cruze is built on a global platform and its safety performance has been tested and proven with top results in many of the world's crash-test programs -- including here in the U.S. It also offers more active safety options than is typical in this class. For those who want to keep compact but use the back seat occasionally, the Cruze is particularly roomy, with a quiet, comfortable ride and some excellent connectivity with the Chevrolet MyLink. Separately, the Cruze Clean Turbo Diesel is one of the most fuel-efficient non-hybrid cars on the market with its 46-mpg highway rating. Strengths of this model include affordable pricing, Roomy interior, smooth ride, great fuel economy in ECO and Turbo Diesel variants, and excellent safety and occupant protection We look forward to seeing you soon! Please call us for more information. We are excited to offer this 2015 Nissan Altima. The less money you spend at the pump, the more money you'll have to spend on you. So why not consider this wonderfully styled, fuel-efficient Nissan Altima. This is the one. Just what you've been looking for. The Nissan Altima 3.5 SL will provide you with everything you have always wanted in a car -- Quality, Reliability, and Character. More information about the 2015 Nissan Altima: The 2015 Nissan Altima offers plenty of choices for buyers looking for a smart, affordable midsize sedan. With a focus on building premium attributes into every facet of the new Altima -- inside, outside and under the hood -- buyers will find a car that punches above its weight in this hotly contested segment. Strengths of this model include Handsome, flowing lines, two great engine choices, standard continuously variable transmission, available amenities to suit every taste, and excellent fuel economy from 2.5L We look forward to seeing you soon! Please call us for more information. Pre-owned vehicle pricing includes all offers and incentives. Tax, Title and Tags not included in vehicle prices shown and must be paid by the purchaser. While great effort is made to ensure the accuracy of the information on this site, errors do occur so please verify information with a customer service rep. This is easily done by calling us at (228) 679-5200 or by visiting us at the dealership. 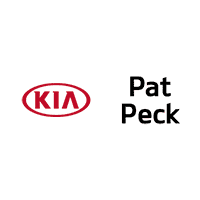 Pat Peck Kia	30.4435952, -88.8960163.